One of a handful of films made by Vittorio Gassman for MGM during his marriage to Shelley Winters. The Italian heart-throb plays an illegal immigrant in the USA, who is given refuge by social outcast Gloria Grahame and jazzman Jerry Paris. The atmospherically lit, documentary-style movie has a lively jazz score, and there are brief appearances by Jack Teagarden and Shorty Rogers. 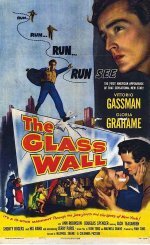 It was the best of Gassman's Hollywood films. His marriage to Winters proved short-lived and he returned to Italy to resume his prestigious stage and screen career.